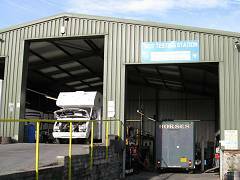 In addition to Coach services, we also service and maintain cars, vans and motorhomes from our workshops. Because we also service our own vehicles we are able to service larger vans (up to Class 7) and motorhomes from our inspection pits and heavy duty powered ramps. We have recently installed the latest fault code diagnosis equipment which allows us to maintain vehicles from all manufacturers however new or old. We can carry out all maintenance work from changing a spark plug to rebuilding an engine. 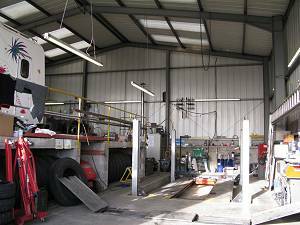 We have in house steel welding facilities and all necessary emissions diagnostic equipment. We are an approved MOT testing station for cars, mini buses and vans (MOT classes 4, 5 and 7). Coachstyle can also supply and fit just about any make and type of tyre complete with balancing and tracking. For more information about our garage services, please phone us on 01249 783366, or on our main number below.